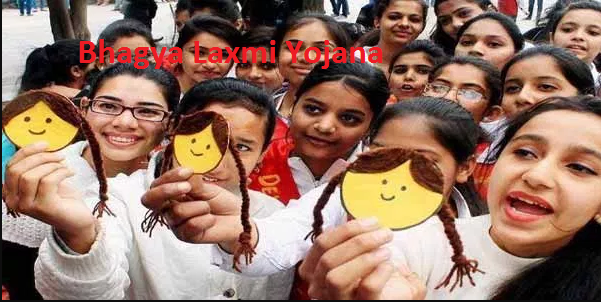 A financial assistance scheme for the girls in Uttar Pradesh will be launched very soon. This scheme is named as BLY scheme under which financial assistance will be provided to each and every girl student of Uttar Pradesh. The BLY scheme has been introduced by none other than the newly elected Hon’ble CM of the state Yogi Adityanath. The main aim of the BLY scheme is to provide financial aid to the girls so that it would be used for their education right from school to graduation. The Uttar Pradesh govt. will issue bond of Rs. 50 thousand for every birth of girl in a poor family. The Uttar Pradesh govt. wants everyone’s support which will ensure everyone’s development in the state. Hence to make this vision successful, the initiative to provide financial aid to the girls of poor families has been decided under the BLY scheme. The Uttar Pradesh state govt. is committed to improve the quality of education among girls of the state and to ensure that every girl, whether rich or poor should get compulsory education. So this initiative to provide financial help for education of girls belonging to poor families will be beneficial for their schooling and graduation and will provide them fair chance to follow their dreams. The female literacy rate which is quite low, compared to the literacy rate of the opposite gender will get a good push. The Bly scheme is aimed for those girls who belong to poor families. So those families which are permanent residents of Uttar Pradesh will get chance to avail the scheme. Families from lower income groups, BPL families, may apply for the scheme. This scheme will ensure smooth education for the girl child of the poor families of UP. The govt. may decide on the maximum number of girls of a certain family to whom this benefit will be provided. When a girl child is born, the govt. will prepare a bond amounting Rs. 50,000 in the name of the girl child. However, she must belong to a poor and backward family and satisfy the eligibility criteria. During the admission to the 6th standard in the school, the beneficiary will get the first installment of Rs. 3,000 which will be utilized by the girl’s family for her education. Then the second installment of the BLY scheme will be provided when the girl gets admission to the 10th standard in school. The second installment will be of Rs. 7,000. The third installment of Rs. 8,000 will be paid to the beneficiary when she reaches 12th standard and gets admission. The final installment of Rs. 32,000 will be provided when the girl completes her schooling and seeks admission for graduation. This is the highest installment amount which will ensure higher studies for girls belonging to poor families of Uttar Pradesh. The state govt. has already decided to implement this scheme from this year. Facilities in form of bonds will be provided from this year only to the eligible beneficiaries. As per latest reports the BLY scheme will be officially launched in the month of June, 2017. The main governing authority of the BLY scheme will be the Dept. of Women welfare, Govt. of Uttar Pradesh. The scheme has been already announced by the CM Yogi Adityanath and will also launch the scheme in June 2017. The Uttar Pradesh state govt. has handed over the task for the implementation of the project to the Dept. of Women Welfare. This concerned department will also be allocating the budget for the BLY scheme. It is expected that the scheme will fetch several thousand crore in the budget allocation session of Uttar Pradesh as the financial aid amount per beneficiary is Rs. 50,000. Hence the BLY scheme is a welcome step by the new Chief Minister of the state which will ensure that every girl child of poor families also will get education. The govt. will provide financial support to the poor families to make their girls educated at least up to graduation level and empower then so that they can follow their dreams. The scheme will also be a smart push to better the literacy rate of the state.